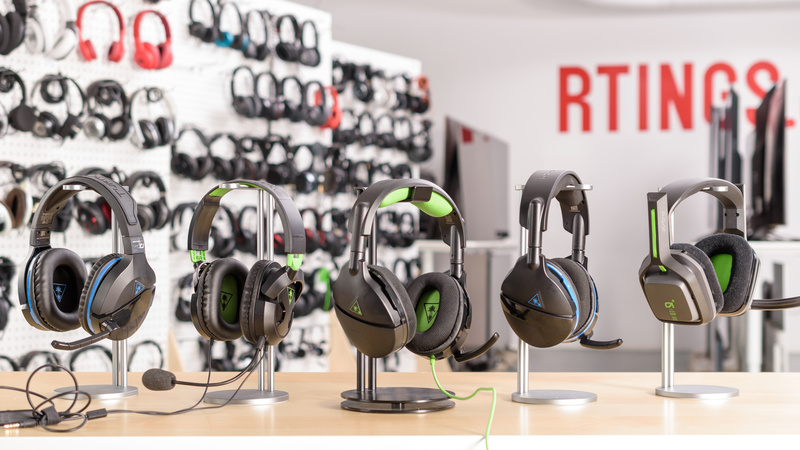 The Turtle Beach Stealth 300 are a decent wired gaming headset. 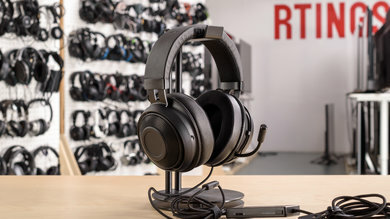 They have the same design and build quality as the Stealth 600, so they're comfortable and easy-to-use, but look a bit cheap and won't be as durable as some of the other budget gaming headsets we've tested. 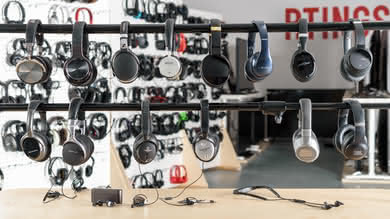 Unfortunately, they do not block a lot of noise, they leak a lot and you can't use them passively, despite being wired headphones, which is disappointing. 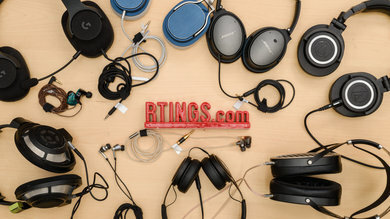 Plasticky and cheap-feeling build quality. 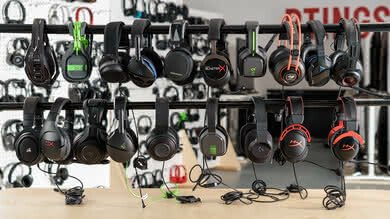 The Turtle Beach Stealth 300 are a wired variant of the of the Stealth 600. They have the same look and feel and are also decently comfortable and easy to use but a bit tight on the head. 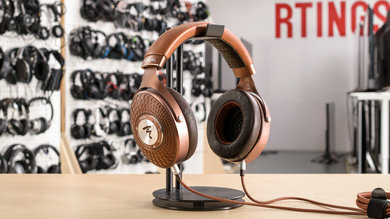 They have the same porous pads as the 600, which are decently breathable, but being closed-back over-ears, they will still make your ears fairly warm during longer gaming or listening sessions. They also won't be a good choice for more demanding physical activities since they are not stable enough for running and aren't made for working out. Unfortunately, their build quality feels a bit cheap even if they have slightly better yoke design than the Stealth 600. 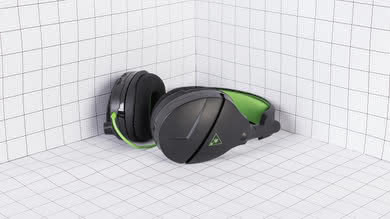 The Turtle Beach Stealth 300 look almost identical to the Stealth 600. 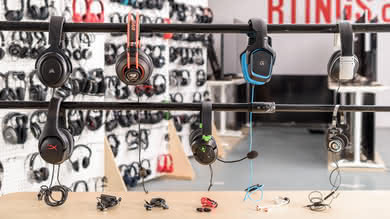 They're a wired variant of the same headset, and also have large ear cups and a wide headband with a decent amount of padding. They have a slightly different yoke design that shows the metal at the center of the frame, which looks a bit better than the all plastic design of the Stealth 600, but it's not a noticeable difference at a distance. Unfortunately, like the wireless model, the breathable fabric used for the pads looks and feels a bit cheap. 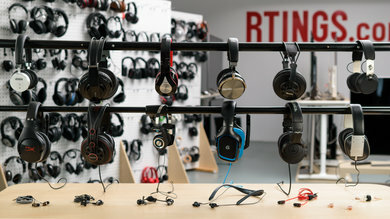 They also have a typical gaming headphones' design, with color accents that match the console variant purchased. 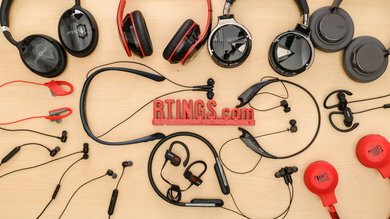 Unfortunately, they're not the most stylish-looking or outdoor-friendly headphones unlike some of the HyperX gaming headsets we've tested. 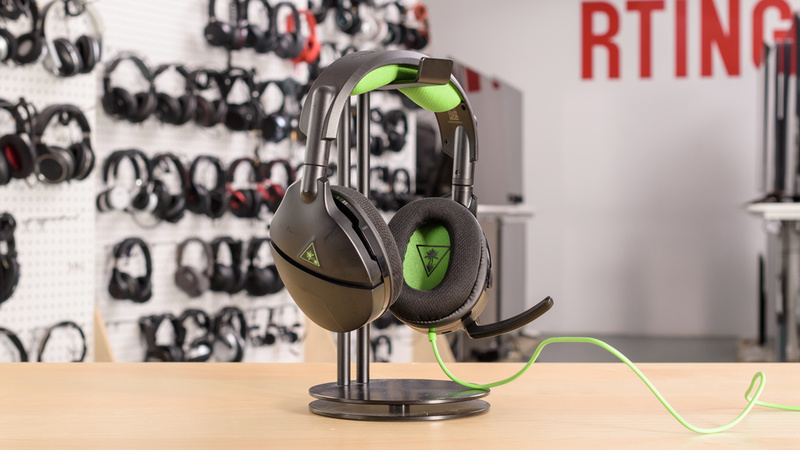 The Turtle Beach Stealth 300 are the same comfort-wise as the Stealth 600. They're also a bit tight on the head, but the spacious ear cups fit comfortably around most ears. 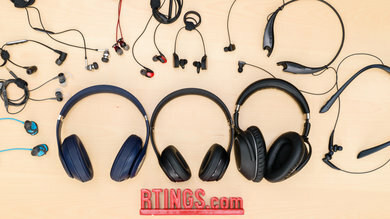 The headband and ear cups are decently well padded, although the fabric covering the ear cup pads does not feel as nice on the skin as the faux-leather of some of the other headphones we've tested. 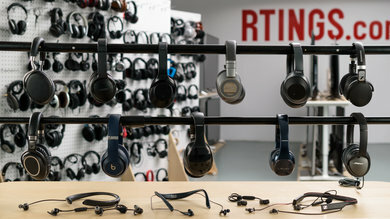 On the upside, they have a slight dip in the ear cup padding to better fit listeners who wear glasses. The Stealth 300 have the same button layout as the Stealth 600 despite having slightly less functionality. 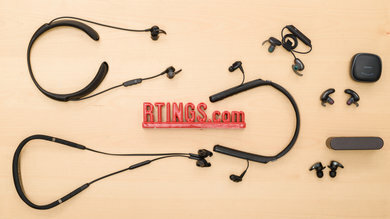 They provide a volume and microphone dial, as well as a fold-up-to-mute feature to completely disable the mic. 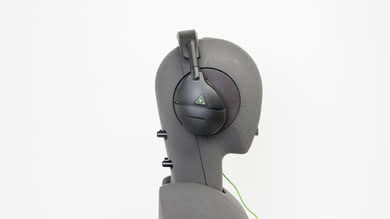 They also have two buttons on the left ear cup to switch between 4 audio presets and to turn on/off the headphones. It's an easy-to-use and decently responsive control scheme. The Turtle Beach Stealth 300 are somewhat breathable, thanks to the porous fabric used for the ear cup pads. 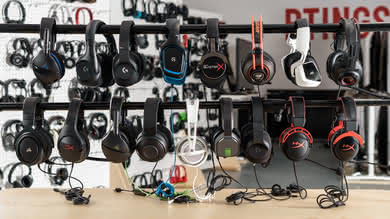 However, since they create a decent seal around your ears, they do obstruct a fair bit of airflow which will make your ears quite warm after a couple of hours of gaming. They're not as bad as some of the other over-ears, but the temperature difference is noticeable. 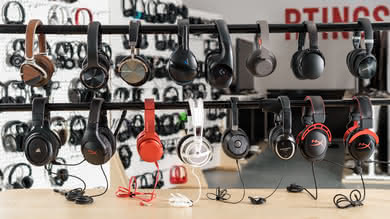 Like most gaming headphones, the Turtle Beach Stealth 300 are not very portable. 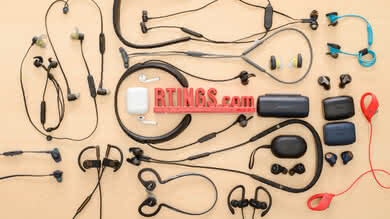 They're big and bulky with large ear cups that only lay flat and do not fold into a more compact format. They're a hassle to carry on you if you don't have a bag or a backpack and do not come with a case or pouch which is slightly disappointing. 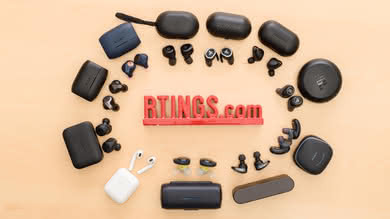 On the upside, since they are wired, you can use them outdoors with your phone if you want to, unlike the Stealth 600, which have the same design but are limited by their USB transmitter. 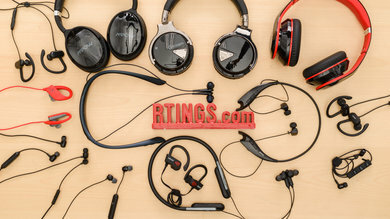 The Turtle Beach Stealth 300, like the similarly designed Stealth 600, have a plasticky build quality that does not feel as durable as some of the other gaming headsets we've reviewed. 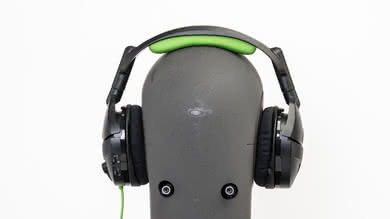 The ear cups are decently dense and would not get damaged by a couple of accidental drops. The headband is also flexible enough to handle the physical stress of most casual use cases. Unfortunately, the frame and hinges feel fragile and cheap. They have slightly different yokes that expose a metal center, however, they do not feel that much more durable than the Stealth 600. 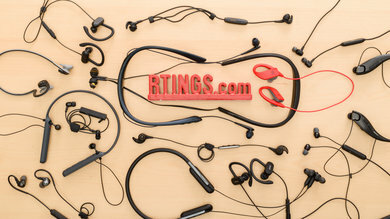 These headphones are bulky, unstable and not made for sports. They're a bit tight on the head, so they don't move too much during more casual activities like gaming, listening to music or walking around. However, since they're not made for physical activities, they're cumbersome and sway quite a bit when running. They will quickly fall off your head if you use them for working out. 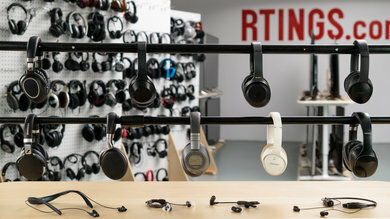 They also have a non-detachable cable that will yank the headphones off your head if it gets hooked by something. 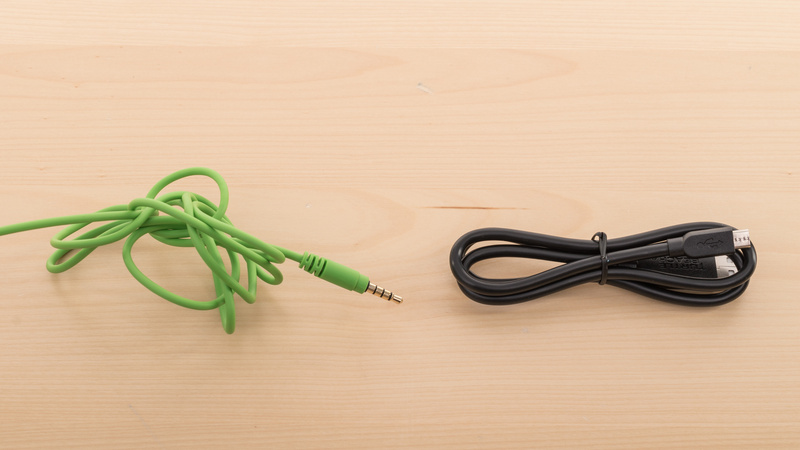 The Turtle Beach Stealth 300 do not have a detachable audio cable but come with a micro USB charging cable. 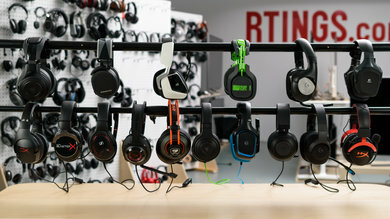 The Turtle Beach Stealth 300 are an above-average sounding pair of closed-back gaming headsets. They have a deep, powerful, and tight bass capable of producing low thumps and rumbles common to bass-heavy music and video games. They also have a very good mid-range and a well balanced treble. 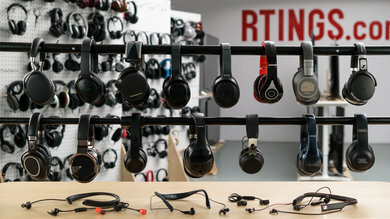 This makes them a good choice for a wide variety of use cases, especially video games and bass-heavy music. 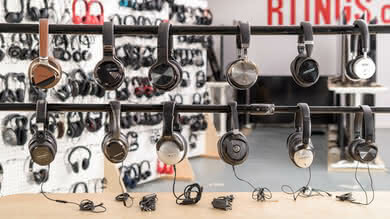 However, their upper mid-range and lower treble lacks a bit of detail and brightness, so they may not be the ideal choice for vocal-centric music. These headphones come with 4 EQ presets, and this review was done with them on the default setting (preset 1). 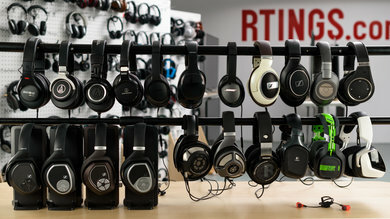 The Turtle Beach Stealth 300 have a good bass. Their LFE (low-frequency extension) is at 10Hz, which is excellent. This indicates a deep bass that is capable of producing thumps and rumbles common to EDM, Hip-hop, and film scores. 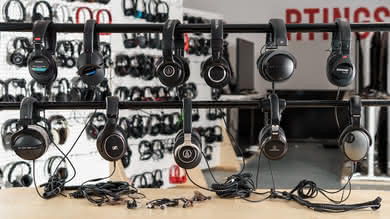 Additionally, the range's response is quite flat but consistently overemphasized by about 4dB, which makes the sound boomy but fans of heavy bass may like it. 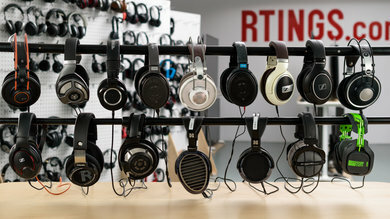 Overall, the bass of these headphones is deep and well-balanced, but noticeably heavy. 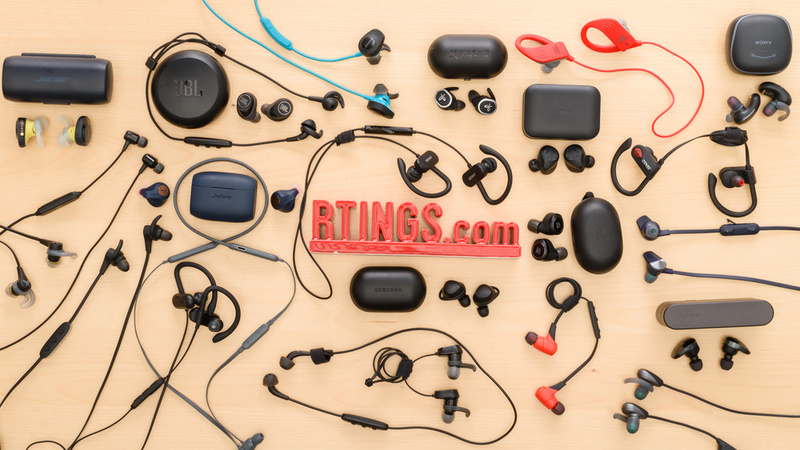 The mid-range of the Stealth 300 is very good. Low-mid, mid-mid, and high-mid are a bit uneven but overall decently balanced. This ensures a clear reproduction of vocals and lead instruments. The mismatch between the L/R drivers in the graph is not considered an issue in the frequency response, but they will get penalized for it in the Imaging section. The treble performance is good. The response is rather uneven and generally underemphasized. Low-treble is underemphasized by about 3dB, and mid-treble by about 1dB. Overall, their treble is quite well-balanced, but a tad veiled and lacking in detail and brightness. The frequency response consistency is very good. 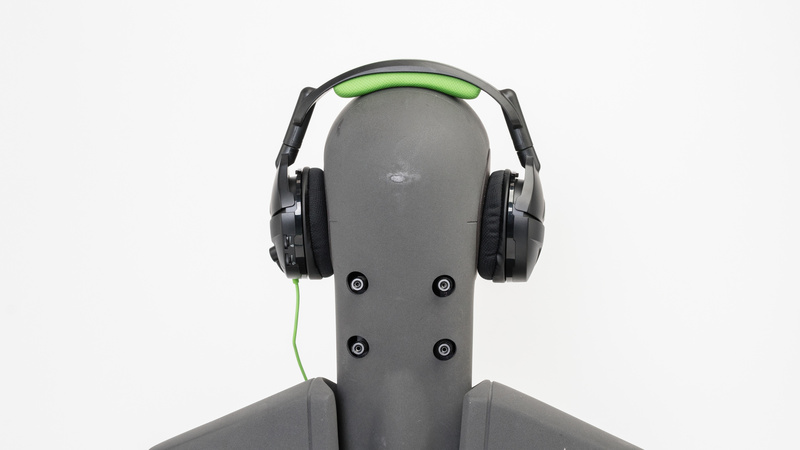 The bass delivery across our human subjects was quite consistent, with the maximum deviation being less than 3dB at 20Hz. 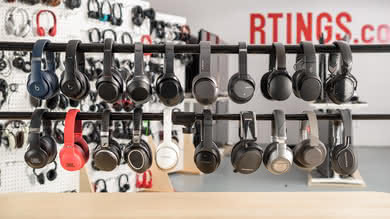 Their treble delivery across multiple re-seats was even more consistent than their bass range, which is probably due to their relatively small ear cups. 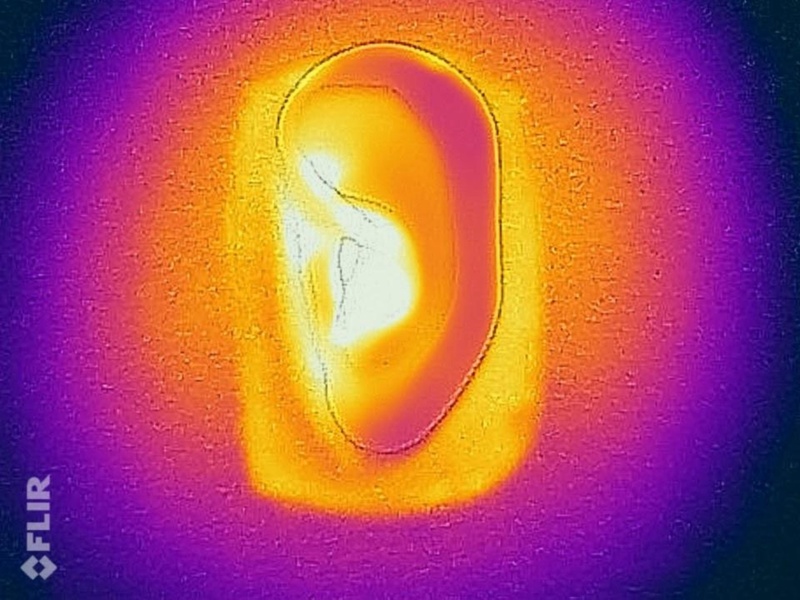 The imaging is great. Their weighted group delay is 0.23 which is within good limits. Also, the graph shows that their group delay never crosses the audibility threshold. This results in a tight bass and transparent treble reproduction. 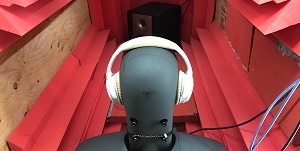 Additionally, the L/R drivers of our test unit were pretty well-matched in amplitude and phase response, but showed some mismatch in the frequency response of their bass and mid ranges. This could create a inconsistencies in the stereo image but won't have a significant negative effect on the the placement and localization of objects (voice, instruments, footsteps), in the stereo image. Mediocre soundstage performance. The PRTF response has decent accuracy and size. This suggests a relatively natural soundstage. 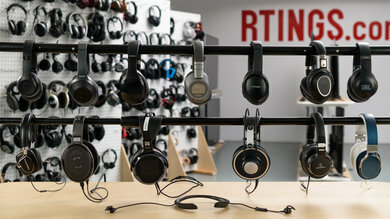 However, there is not a notch at 10KHz which suggests an inside-the-head soundstage as opposed to a speaker-like soundstage which is perceived to be in front of the listener. 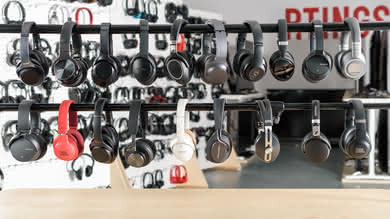 On the upside, their perforated pads and low isolation makes these headphones sound a bit more open than heavily isolating headphones. The harmonic distortion performance of the Stealth 300 is average. 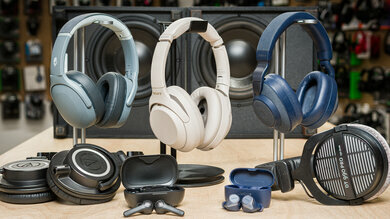 The overall amount of THD is rather elevated, especially at 100dB SPL in the bass range. 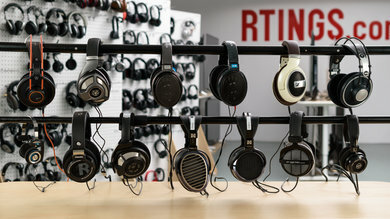 This suggests that the Turtle Beach Stealth 300 may struggle with producing a lot of bass at high volumes, and may not respond well to a lot of EQ boost in the bass range. Additionally, the spikes in THD around 2KHz 4KHz could make the sound of the region a bit harsh and impure. 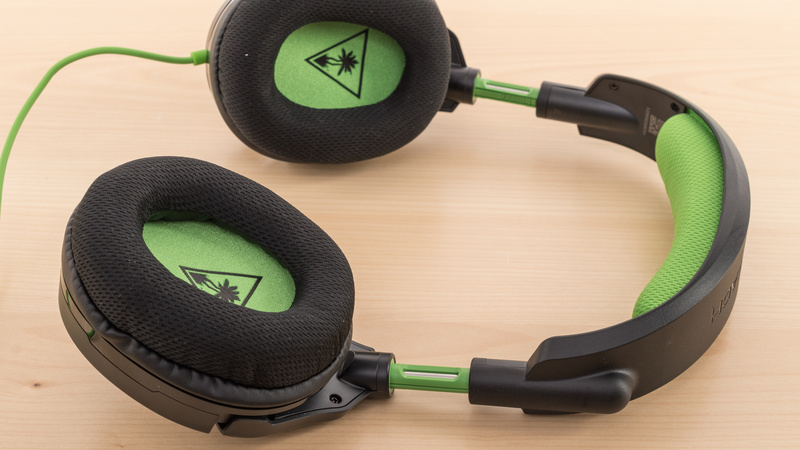 The Turtle Beach Stealth 300 do not isolate well in loud environments and would not be a good choice to use in noisy conditions. 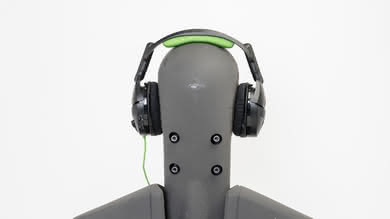 The porous ear cup pads help with breathability but also let a lot of noise seep into your audio. 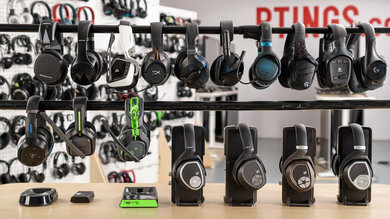 They will not be the best gaming headphones to use at eSport competitions, where there's a lot of noise, but should be OK if you're gaming at home. 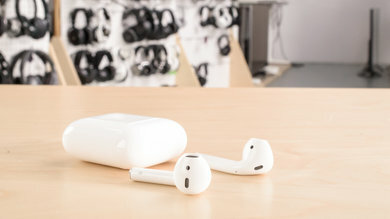 Unfortunately, they also do not block a lot of noise so they will be audible to the people around you in quieter settings. The isolation performance is sub-par. 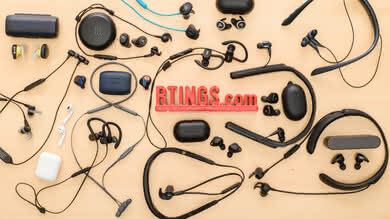 Although these are closed-back headphones, their perforated breathable pads make them quite open and weak at isolating. They do not isolate at all in the bass and mid ranges, letting in the rumble of engines and the voice of people around you. However, you can mask some of these noise by turning up the volume of your headphones. In the treble range, occupied by sharp sounds like S and Ts, they achieve a decent 20dB of isolation. The leakage performance is sub-par. The significant portion of their leakage is spread between 500Hz and 5KHz, which is a relatively broad range. 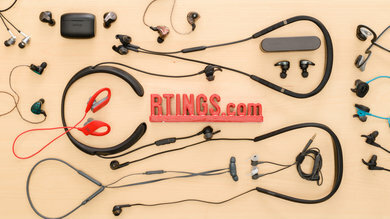 So although their leakage won't be as full-sounding as that of open-back headphones, it'll be more noticeable than that of in-ears and earbuds. On the plus side, the overall level of their leakage is not very loud. With the music at 100dB SPL their leakage averages at 46dB SPL and peaks at 60dB SPL which is higher than the noise floor of an average office. The microphone of the Turtle Beach Stealth 300 is decent. In quiet environments, speech recorded or transmitted will sound rather full, detailed, and easily understandable. But it lacks a bit of airiness and could also be a bit sibilant (sharp and piercing on S and T sounds). In noisy situations, they perform decently well and are able to separate speech from ambient noise in moderately loud environments, such as a busy street. But they may not be ideal for very loud places, like a subway station. The microphone of the Turtle Beach Stealth 300 has a decent recording quality. Their LFE (low-frequency extension) is at 160Hz, indicating recorded/transmitted speech will sound relatively full-bodied. The HFE of 6.5KHz is above-average, so although speech will lack some airiness, it will have enough detail and presence to be easily understood. The 15dB peak around 5KHz however, makes voice a bit too sharp and piercing, especially on S and T sounds (sibilant). The noise handling capabilities of the Stealth 300's boom mic is about-average. In our SpNR test, they achieved a speech-to-noise ratio of 19dB. This means they are suitable for quiet and moderately loud environments, but may not be able to fully separate speech from ambient noise in very loud places like a subway station. 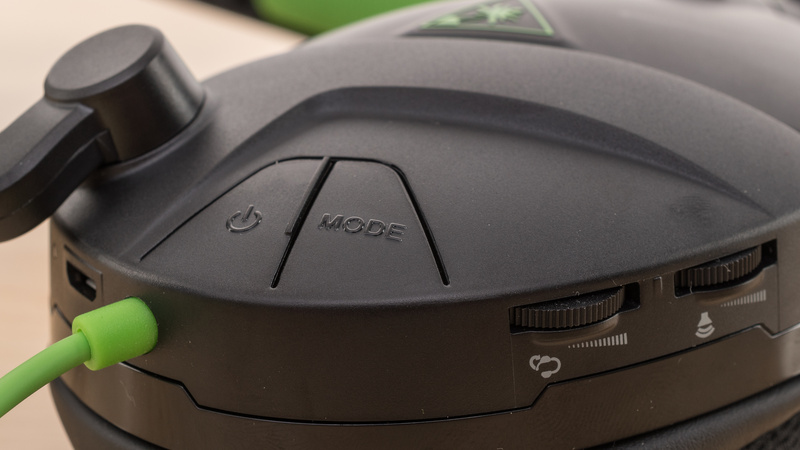 The Turtle Beach Stealth 300 do not have many active features. 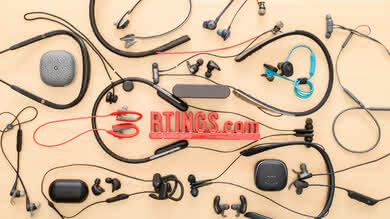 They're not noise canceling, wireless or Bluetooth headphones, but do have audio presets so you can switch between different sound profiles. 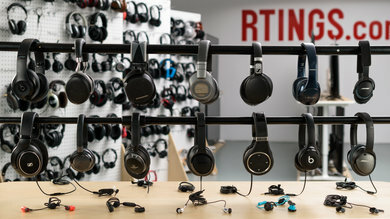 On the upside, this gives them an excellent battery life that will last over 24Hrs of continuous playback, which should be more than enough for most gaming marathons, especially since they can also charge while playing audio. Unfortunately, they cannot be used passively when the battery dies, which is very disappointing. 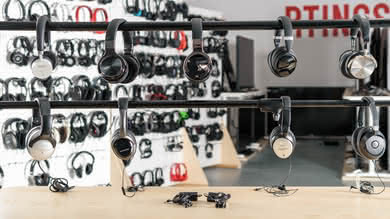 They also do not support the Turtle Beach Audio Hub, which means they have no customization options beyond the 4 different audio presets that you can cycle through with the "Mode" button on the right ear cup. The Stealth 300 have a good battery life that provides about 26hrs of continuous playback on a single charge. 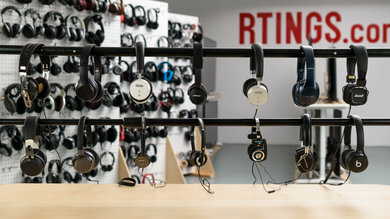 They also charge relatively fast for a gaming headset. 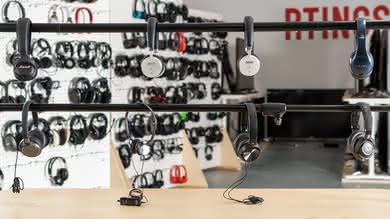 Unfortunately, like the Turtle Beach Recon 200, they do not have passive playback despite being wired so you won't be able to use them once the battery dies which is disappointing. 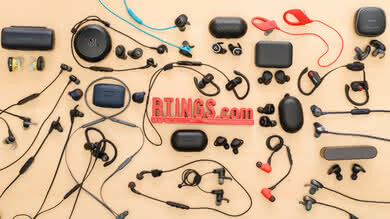 On the upside, they have an auto-off timer that will switch off the headphone when inactive which saves a lot of power. 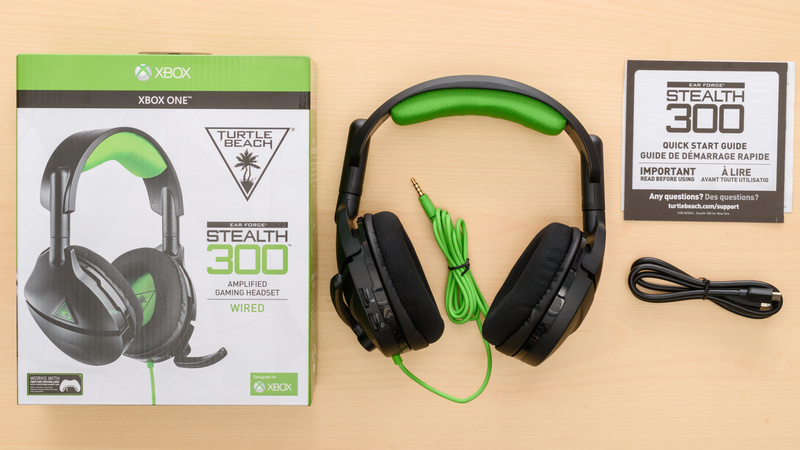 The Stealth 300 do not support the Turtle Beach Audio Hub. 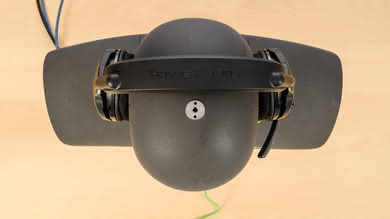 The Turtle Beach Stealth 300 are the wired variant of the Stealth 600. They do not support Bluetooth and do not have a USB transmitter or base/dock. 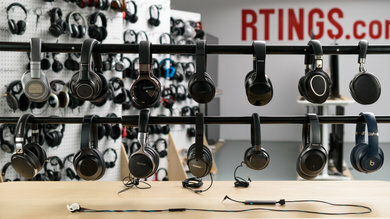 This means they will be a bit less convenient for gaming on your couch since you will be a bit limited by the relatively short audio cable. 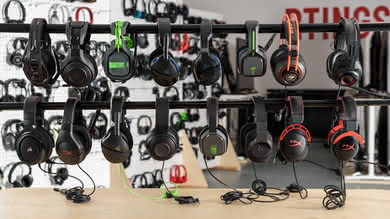 On the upside, since they are wired, they have even less latency when gaming or watching videos, and they have mic support for both console controllers, although mic monitoring is handled differently for the Xbox One and the PS4 variants, which we do not yet measure with our current test bench. 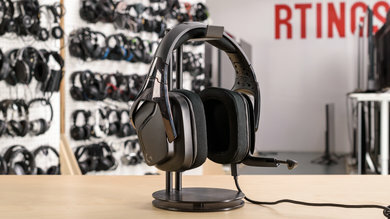 The Turtle Beach Stealth 300 have a wired connection that provides volume control and microphone compatibility support for both the Xbox and PS4 controllers. However, you will need a 4 pin audio jack or a headset adapter for the microphone to work with your PC. You could use an adapter but it's not provided in the box which is not ideal. Also, mic monitoring is handled differently for the Xbox One and the PS4 variants which will be tested more thoroughly in a future test bench update. 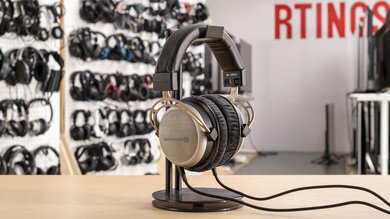 This gaming headset does not have a dock. 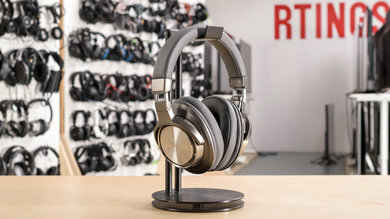 If you need a headset with a dock that also has a wired connection for gaming or watching The Turtle Beach Stealth 300 do not have a wireless range since they're wired. 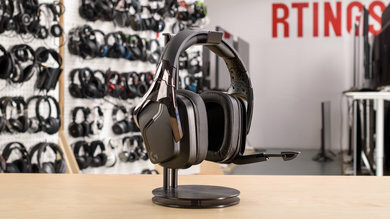 If you want a good wireless gaming headset, check out the Astro A50. 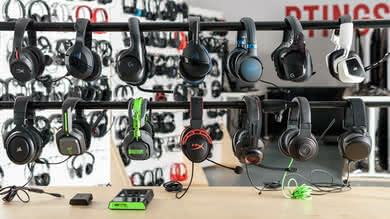 The Stealth 300 are decent wired gaming headsets, but do not have many features or connection options. 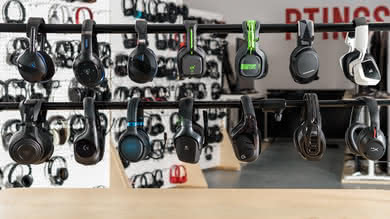 Unlike some of the other wired gaming headsets we've tested, the stealth 300 are active headphones that need to be charged to work. On the upside, they have a good 26Hr battery life that will easily last you long enough for most gaming marathons, and also has an auto-off feature to conserve power when inactive. 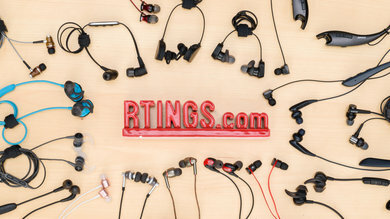 Unfortunately, their build quality is mediocre-at-best. 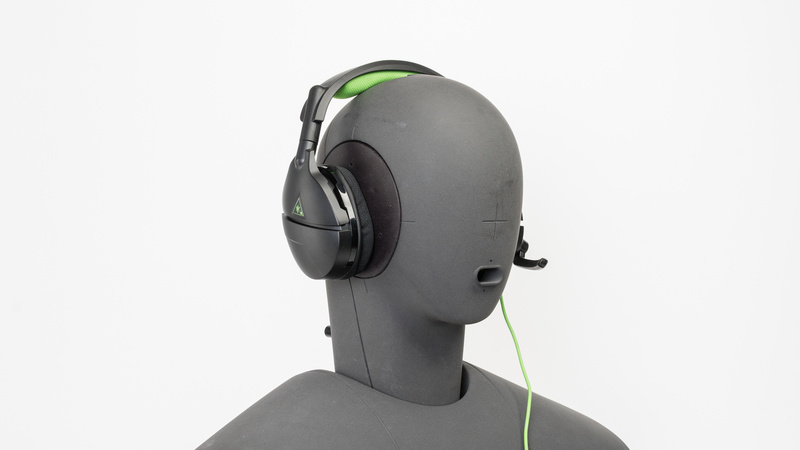 Like the Stealth 600, they feel a little cheap and not as durable as some of the headsets compared below. 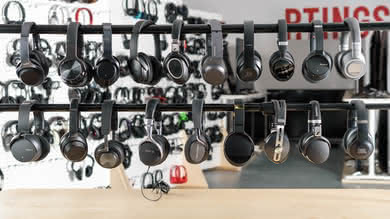 They also do not have many customizable features apart from the built-in presets that you can use cycle through with the 'Mode' button on the right ear cup. 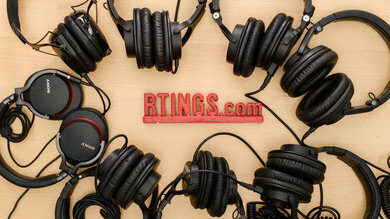 See our recommendations for the best PS4 headsets. Average-at-best for mixed usage. The Turtle Beach Stealth 300 have a wired design which makes them slightly more versatile than the Stealth 600 since you can use them with your phone and both console controllers (Xbox and PS4). 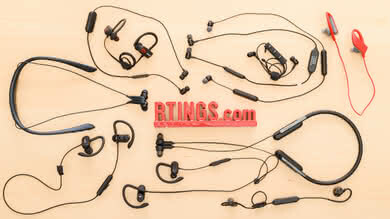 However, they won't be as convenient for gaming because you will be limited by the range of the cable. 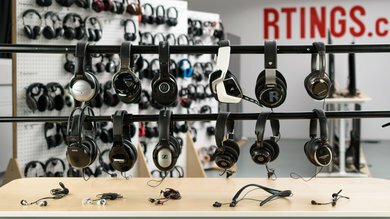 They also do not have a lot of customization options since they do not support the Turtle Beach Audio Hub. 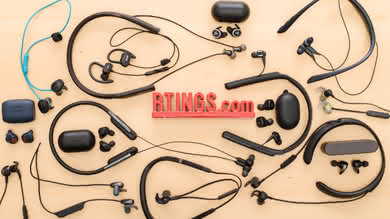 Other than that, they have the same design as the Stealth 600, so they won't be the best headphones for outdoor use and they look a little cheap and plasticky but should be comfortable enough for most. 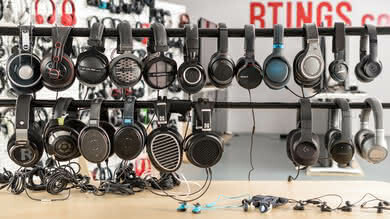 Above-average for critical listening. 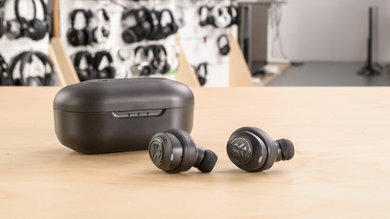 The Stealth 300 have a decently balanced sound with a lot of bass, a decent mid and treble range, and a fairly consistent reproduction even with listeners that wear glasses. Unfortunately, their bass range can sometimes sound a bit boomy. Their treble range lacks a bit of detail and presence on vocals and lead instruments. 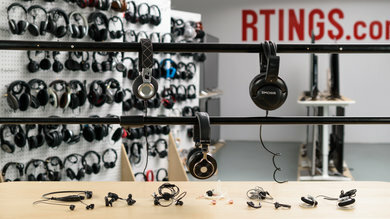 On the upside, they should sound good enough for gaming and also have access to 3 other profiles, with more or less bass. 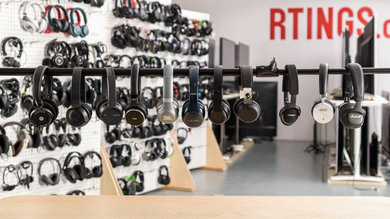 So you can slightly adjust them to fit what your listening to, even if they won't be as customizable as some of the other gaming headsets we've tested. Below-average for commuting. 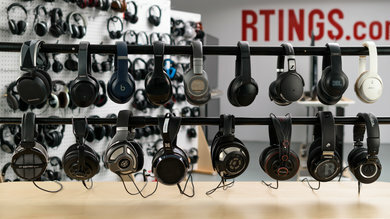 They do not block enough noise for loud environments. 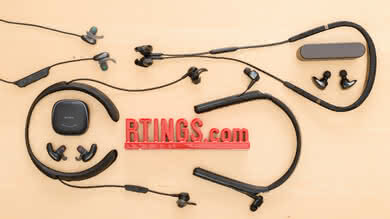 They're also bulky and do not have a detachable mic but on the upside, they're comfortable and easy-to-use. Mediocre-at-best for sports and fitness. 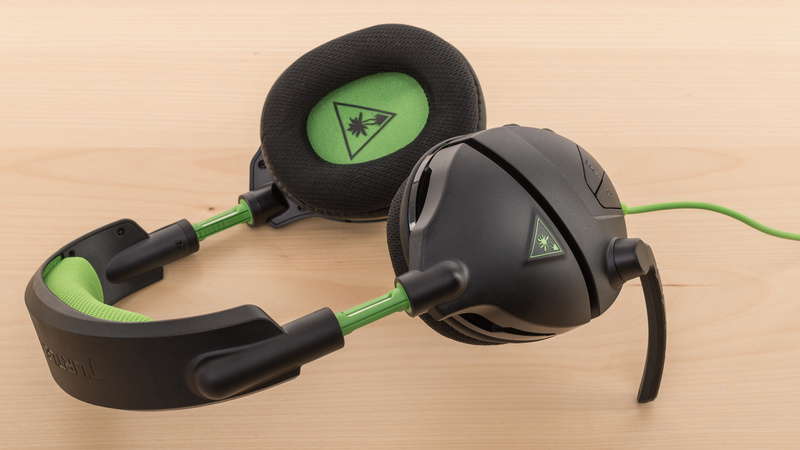 The Turtle Beach Stealth 300 have a bulky design that's not stable enough to run with, and they have a low breathability so your ears will get uncomfortably warm if you work out with them. They're also wired which means they will work with your phone but can also be yanked off your head because the cable got hooked by something. Mediocre-at-best for office use. 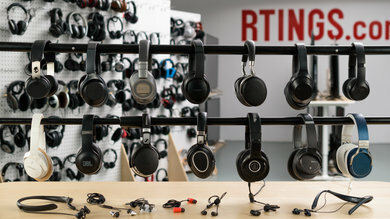 They leak a lot and do not isolate well in loud environments so they will not be great headphones for the office. On the upside they're comfortable and have a good control scheme. They also have a long battery life. Sub-par for home theater use. 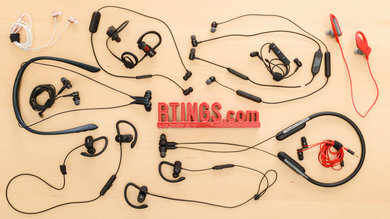 They're comfortable, have an above-average sound, and no latency since they're wired. But you may need an aux extension cord unless you mostly watch your movies on your PC, tablet or phone since the cable is not the very long. Decent for gaming. 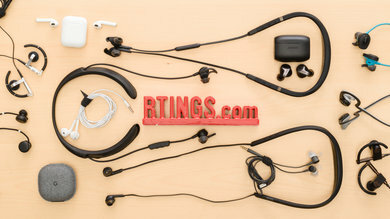 The headphones have a low latency wired connection, a comfortable design that you can wear for hours, and an above-average sound quality. 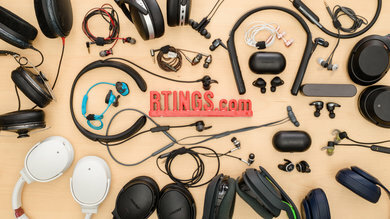 They don't have the convenience of a wireless design like some of the other gaming headsets we've reviewed but they have a decent mic that filters a lot of noise and accurately reproduces your voice.